Over the past weekend, Motorola Mobility apparently became the latest handset maker to join the Wireless Power Consortium. 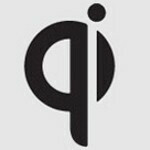 Just like the name suggests, the group has developed the Qi (pronounced "chee") as the standard for wireless recharging. The WPC lists about 70 members including most of the top handset manufacturers and wherever you can safely put down a cellphone is a potential recharging spot according to the group. The Qi right now is the universal standard for wireless charging and some Qi-enabled handsets were displayed at the CES in Las Vegas. We should see some more being dressed up and displayed for the upcoming MWC in Barcelona and things are moving rapidly on this front. Just last summer, the first part of a standard definition was introduced and Energizer already sells a charging pad along with several sleeves. Like we said, most of the top handset manufacturers are involved with the WPC including LG, HTC, Samsung and Sony Ericsson. Even more important is that the company that produces most of the batteries in today's smartphones-Sanyo-is a WPC member and speculation is that the company will be coming out with a line of Qi enabled cells. Qi might not be a household name now, but in the not too distant future, we could see support for Qi listed as a spec on most smartphones. There will always be ignorant fools out there and imature ones aswell. I like Qi it means life force in chinese culture and thus fits perfect for a universal power standard. Whats more important then the name is how much of a benefit to the world this will be. I can't wait to stop buying charges or having to hope my buddy at the office has the same one cuase I forgot mine at home and my phone just died.